When You Vacation at This Wonderful Golf Villa Home at Bear Trap Dunes Resort, You'll be Vacationing With Passion! Pet-friendly: 1 pet allowed - must be under 25 pounds - not allowed on furniture or bedding! Enjoy Peaceful Relaxation From Your Golf Villa Home with 3BR, Family Room, Dining Area, and Fully Equipped Kitchen. Large Family Room with Soaring Ceilings Provides a Open and Soothing Feeling of Relaxation. Fully Stocked Kitchen and Dining Area. Equipped with pots, pans, blender, coffee maker, dishes, bowls, silverware, stove, , dishwasher, disposal and more. 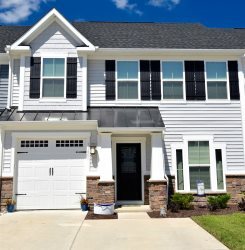 Enjoy Your Large Screened in Porch and short distance to the Bear Trap Dunes Amenities. Master ensuite with soaking tub / shower and walk in closet. Three Bedrooms Altogether with 2 and a half bathrooms. Sleeps 8. ** 1 Pet allowed so long as it is a dog or cat, under 25 pounds. Your Pet is not allowed on any furniture or bedding.